The 8 Best Genealogy Podcasts To Check Out! Do you listen to any podcasts? Well then why not check out my list of the 8 best genealogy podcasts that will help you with our own family history research. We all need a little help now and again so why not get that help from the experts? What are my best 8 genealogy podcasts? The podcasts that you will find in my best 8 are not ranked in any particular order. Well, frankly I found it challenging to rank them, but why would you as they each of them brings something and they are each unique in their own way. So, for that reason I have listed them in alphabetical order. I think that that makes sense, don’t you? With the exception of It’s About Time all of the podcasts are frequently available to you. They are either put online weekly, monthly or a couple of times a month. Listen to these podcasts by clicking on the heading links. Or, you can head on over to PlayerFM and find them there. Long-time morning show host Scott Fisher presents this weekly podcast that looks into the intimate and personal side of family history. At present there are over 200 episodes that you can check out on the Extreme Genes site. Scott is joined by David Allen Lambert who is a Chief Genealogist for the New England Historic Genealogist Society. He is known worldwide for his public speaking on genealogy, DNA research and history. David has published many articles and books on these subjects, and brings to the podcast his “Tech Tips“. Joining the team is Tom Perry who is described as the “Preservation Authority“. His love of genealogy stems from his younger years when he helped his mother with genealogy research. He has traveled all over the world to help people preserve their memories. There are Classic Rewinds where you can get to listen to older podcasts. Transcripts have been added so that you can read for yourself what went on during the show. The Genealogy Guide on Extreme Genes! A brief mention of The Genealogy Guide appeared on this episode in relation to how children can get involved in family history. Why not check out the Genealogy For Kids post to see what all the fuss was about?! Not only does Family Tree produce their own magazine but there is also their podcast as well. At present more than 100 episodes have been produced thus far. The podcast is presented by none other than genealogy expert Lisa Louise Cooke and is joined by other experts in the field who help you to research your family history. They also discuss the news that has been featured on the Family Tree website. There is a particular theme to each of the podcasts. So, whether you are looking into your military ancestors or tracing your Irish ancestors then this podcast is for you. Joining Lisa is Family Tree Magazine editor Diane Haddad and publisher Allison Dolan. They chat about the books and resources that they are currently working on. And they also go into detail about their own family history research. So, you can really get some tips from these experts. Accompanying the podcast are show notes so you can see what has been discussed. And there are also links to recommended websites which can help you further with your own genealogy research. Besides presenting the Family Tree podcasts Lisa also fronts her Genealogy Gems podcast. Lisa shares with you her research techniques that you yourself can use to trace your family history. It doesn’t matter what level of expertise you have reached as there is something for everyone on these shows. Similar to the Family Tree podcasts Lisa interviews genealogy experts such as executive producers and authors. But the difference to these shows is that the listener is also able to join in. They obviously are invited on before. You either get to actually hear them or their letters are read out. These podcasts are free to access but on the Genealogy Gems website there is a Premium section where you can get more resources to help you. If you don’t want to go to the website to listen then you can easily listen to the podcasts on the Genealogy Gems YouTube channel. If you are new to genealogy then this podcast is right for you. You get a warm welcome from presenters Amy and Penny who make you feel at ease when you start to listen to the podcast. They discuss success stories and also the brick walls that are inevitably encountered when researching your family tree. You will almost definitely hit one of these brick walls but with the guidance from Amy and Penny you will get the assurance to persevere and move on. It must be noted here though that the girls proclaim to be “always in training“. Don’t let this put you off as personally I feel we are always learning as we trace our family history. Not only are we learning about our ancestors but also the skills and techniques that we gain along the way. This is definitely true for the experts as well. Similar to the podcasts that I have described above there are also descriptions added to each of the shows. These podcasts are made available on the pair’s Genealogy Happy Hour Soundcloud page. Quite different from all the other podcasts are these bite-sized versions that are presented by Will Moneymaker. These 5 minute shows are perfect for the busy researcher who just do not have time to sit down and listen to lengthy shows. They rather be getting on with important things, such as tracing their family roots, lol. These shows are also perfect as they can help you to break down any brick wall that you may have encountered. Just check out the playlist that is available on the site and check out which podcasts will help you. The podcasts are available from the Ancestral Findings website that has been online for nearly two decades. And besides the podcasts there are also helpful resource articles and a biweekly newsletter available on the site. Switching gears yet again is the Genealogy News from Geneatopia that looks at the current genealogy topics that have been making the news, or rather being discussed on social media. These news stories could come from Facebook or blogs. There is also discussion on any upcoming genealogy conferences and events that may be of interest to you. Hey, why not check them out as you get to meet the experts and get help with any of your problems that you may have encountered. 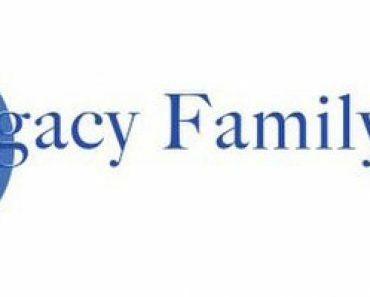 Patty herself is herself an expert when it comes to family history as she has more than 15 years experience. And she knows that as genealogists we do not always have time on our hands. We would rather spend that time researching. So, her 30 minute shows are straight to the point giving you the latest news that you need to know about. To help you further there is also a list for each show where you can see the resources that have been discussed. Even though there are only 5 episodes available thus far I thought that I would still add this podcast to the list. It is a very interesting podcast that is fronted by keen historian Sir Tony Robinson. The podcasts look at particular themes that you yourself may find useful in helping you trace your own family tree. For example, the first show looks at a puzzling 19th Century murder. Do you know any ancestor that came to a brutal end? Either way I’m sure you’ll find these podcasts fascinating to listen to. You will though need to be subscribed to the Ancestry UK site to listen to the shows. So, if you are already a member then please check out these podcasts. Created by George G. Morgan and Drew Smith the Genealogy Guys have been podcasting since 2005 helping both the beginner and the seasoned professional. Their podcasts covers the latest news from organizations and companies keeping informed as to what you need to know. You will also get to hear book reviews and brief interviews on the show. The guys are also busy as they have a second show entitled The Genealogy Connection. This show is quite different to the first as it is solely all interview. So, you will get to hear from the experts for the entire show. You may also get to hear from researchers, speakers, writers and educators. There are also entrepreneurs, technologists, librarians and even archivists invited on to the show to chat with the hosts. This second podcasts ends with a tip or tool that the interviewee will share with you. Or, it maybe a genealogy book that they highly recommend. I hope you enjoyed this post listing the best genealogy podcasts that I recommend for you to check out. If you have any questions or comments then please leave a comment below. 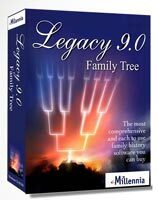 A Legacy Family Tree Webinars Review! 7 Genealogy Webinars You Need To Check Out! I have been trying to know my family roots, I even not sure where is my last name origin, is not from Spain, I think could be Italian, French or Portuguese. The further I could find was a relative that sail from San Francisco to Mazatlan in the middle 1800. 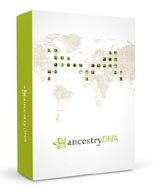 Do you know any database that i could use to try to find more about my ancestors? Hi Ruben. Thanks for the comment. I did a check on Ancestry on your family name and came across Census Records. These are a great way to trace your family tree. Hope this helps. Let me know. Great website! So thorough. My mom went crazy with genealogy awhile back. Traced the family tree back to the 1500s on one side (as a Canadian, it seems I am descended from 3 of the “Les Filles du Roi” that helped settle Canada). Did you know that if the girls agreed to come to Canada, they got 50 French Livres and when they had their 10th child, they got $300 more, although that part may be fictional. The whole thing is so interesting. I will share your site with her. Thanks Jill. I am glad that your mom has done some work on your family tree. It sounds very interesting what she found out. Writing your family history can be a good way to record what she has researched and also to include stories. If you think that it maybe fictional then you can just point that out. Hope you do decide to write a book as it is such a lovely way to preserve those stories. Hi! Thanks for all the work you have put in to research and prepare this list! I’ll surely check them out! The Family Tree magazine caught my attention! I had already heard it mentioned before. I’ll start by it! Once again, thank you very much! It did take a while to put this list together. I wanted to add podcast that are frequently posted and are fresh, (with the exception of It’s About Time). All of these though are great choices for anyone interested in genealogy. What a great list especially for those who are new to this kind of podcasts like me, I think Ill go for Genealogy Happy Hour because I’m a beginner and have no clue about what is genealogy is all about. Thank you for this post, I enjoyed reading it. You’ve certainly made the right choice there Rawan. You will enjoy those podcasts I’m sure. Hi Owain, my great aunt loves genealogy and would find your website really useful. Thank you for sharing “The 8 Best Genealogy Podcasts To Check Out!” I’ll pass it on to her. My pleasure Jay. And yes please pass on this list to your great aunt. I’m sure she will be listening to them for hours and hours.